> Confocal microscopy, Microscopy > Principles and applications of Laser scanning confocal microscopy: what is confocal microscopy ? 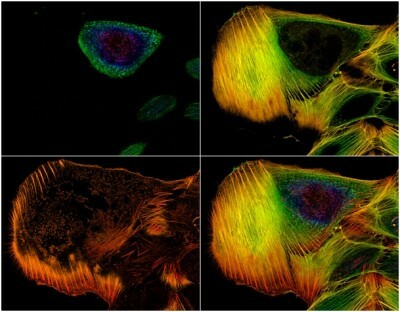 Laser scanning confocal microscopy, more generally referred as confocal microscopy, is an established microscopy technique that allows obtaining 2D or 3D high-resolution images of relatively thick samples. 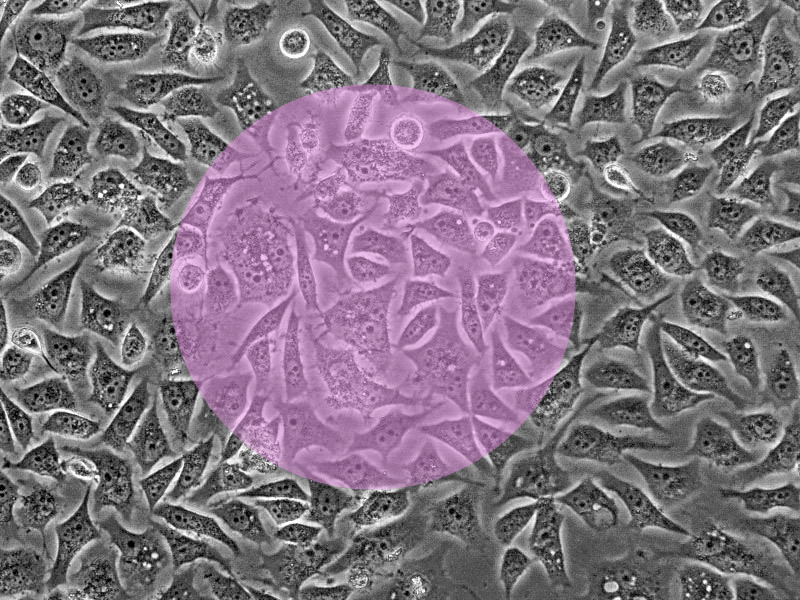 Confocal microscopy is a powerful technique to image fluorescent samples given its high efficiency, low background noise and the capability to optically section samples into different focal planes. Laser scanning confocal microscopy “secret”? – sample thickness and transparency. The core principle of confocal microscopy that allowed overcoming those limitations concerns the adoption of pinholes (Fig. 1) to select photons based on the focal plane they originate. 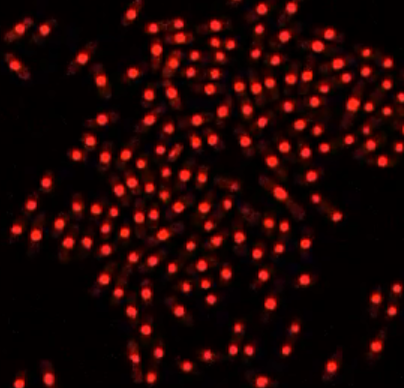 In a conventional fluorescence microscope excitation light illuminates the entire area of interest at the same time (Fig. 2). All excited fluorophores then emit photons, those are collected by the objective and directed to the camera. On the other hand confocal microscopy is able to concentrate most of the excitation light in a specific spot lying on the focal plane. 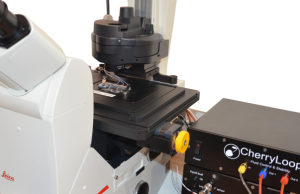 This small spot is optically manipulated in order to scan the sample (Fig. 2). Peak of the excited fluorophores are on the same focal plane whereas photons emitted by nearby focal planes, which generally constitute the background noise in standard fluorescence microscopy, do not contribute to the image formation being stopped by the photomultiplier pinhole. This also contributes substantially in mitigating photobleaching phenomena. The loss of fluorescence among time is much stronger in standard microscopy when compared to confocal microscopy given the fact that fluorophores are excited only during the spot illumination/aquisition. Figure 1, Simplified scheme of a Confocal Microscopy setup. 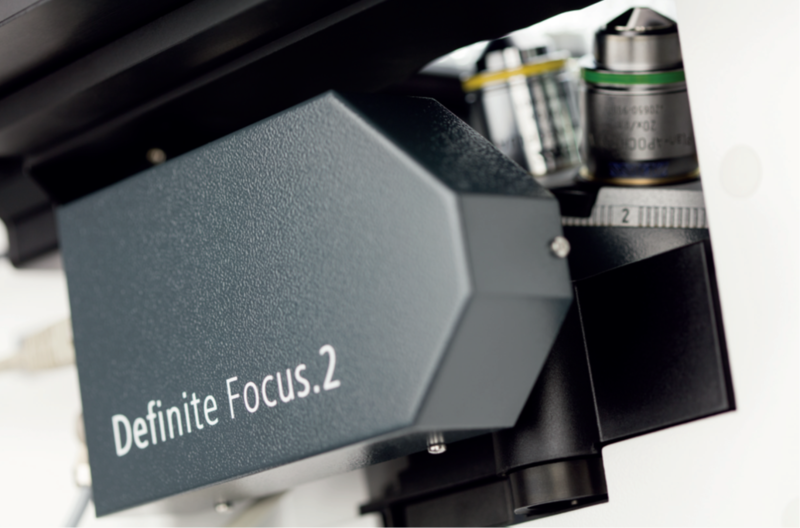 The main difference between a confocal microscopy and a standard fluorescent microscope is the presence of pinholes that are able to exclude photons coming from a different focal plane. (A) Light emitted by a laser source pass through a pinhole and is directed by a dichroic mirror to the sample. Light mostly interact with specimens in a selected focal plane. 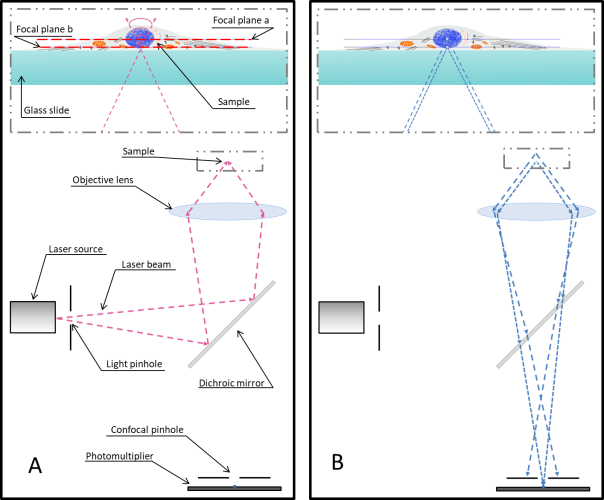 (B) Photons emitted by the exited fluorophors of the selected focal plane (Focal plane b) are collected by the objective lens and pass through the confocal pinhole; photons coming from different focal plane (i.e. focal plane a) are excluded by the pinhole thus reducing the background noise. The scanning speed is so far one of the bigger drawback of confocal microscopy. As stated above in confocal microscopy the light emitted by the laser is concentrated in a very small spot. This spot is moved at very high speed in one axis and appears by naked eyes as a line (Fig. 2B). This “line” is then moved in the other axis to slowly scan the sample. Several approaches and technologies are used to manipulate the position of the light spot; those include: galvanic mirrors, galvanic resonant mirrors, hexagonal prisms or spinning disks. Figure 2, Sample illumination using standard fluorescente microscopy (A) and scanning animation of confocal microscopy (B). While the sample is uniformly exposed to exitation photons when imaging with a standard fluorescent microscope, confocal microscopy galvanic mirrors generate a scanning front. Laser scanning confocal microscopy has the advantage of sending most of the photon in a single focal plane spot reducing considerably fluorophores photobleaching. This is particularly true when the second limiting factor of confocal microscopy is taken into consideration. The confocal pinhole selectivity has the drawback that it significantly decreases the light going to the sensor. Thus the sensor has to be very sensitive or the exposure time has to increase significantly. Very sensitive sensors such as photomultipliers used in laser scanning confocal microscopy can be very sensitive; on the other hand they are keen to generate false signals. Those are generally removed by repeating the scan in order to digitally remove the sensor noise but increasing again the scanning time. 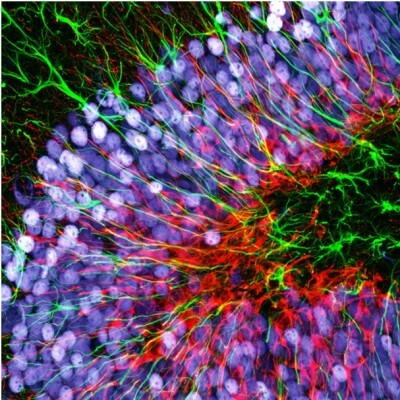 In terms of resolution confocal microscopy is superior to standard fluorescence microscopy. By sectioning each single focal plane the resulting image is cleared from out of focus signals thus revealing details close to the optical diffraction limit. Moreover laser scanning confocal microscopy allow discriminating signals in the three axes thus making possible to obtain a reconstructed 3D image of the sample. Images of the scanned single focal planes can be merged directly from the confocal microscopy software of by free software such as ImageJ. The minimum thickness of the focal plane depends on the illumination wavelength; the numerical aperture of the objective lens and of course the optical transparency of the specimen.